Shirts With Random Triangles: Texas reportedly interested in UCLA's Jim Mora Jr. to be its new head coach. Texas reportedly interested in UCLA's Jim Mora Jr. to be its new head coach. Be very afraid, UCLA fans. 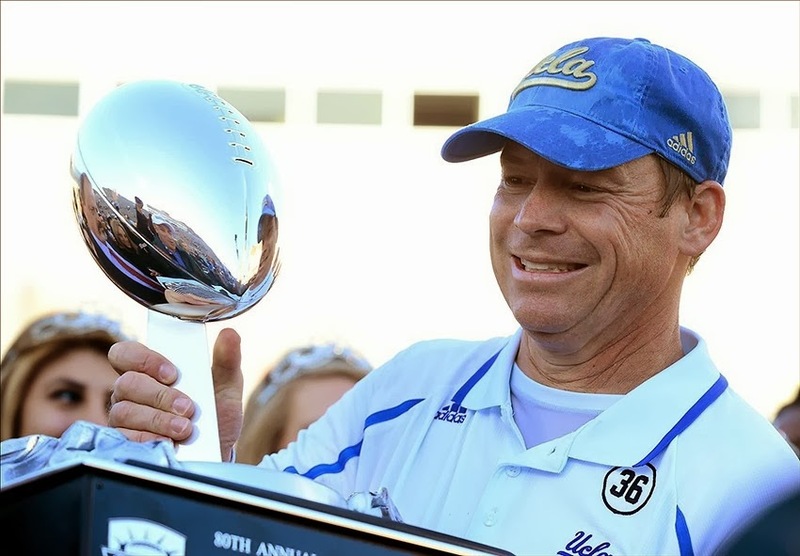 It looks like Texas may have its eyes on Bruins' head coach Jim Mora Jr. to replace Mack Brown as HC for the Longhorns. At least that's what sources are telling ESPN analyst Adam Schefter. Texas is looking to find a new head coach before Jan. 15. Mora is 18-8 in his two years at UCLA. He was previously head coach of the Seattle Seahawks and the Atlanta Falcons. Mora most recently led the Bruins to a 42-12 victory against Virginia Tech in the Sun Bowl.